The tree has been harvested under government management for many decades for its timber. The timber has been used for flooring, furniture an fence posts as it is a strong termite resistant timer. 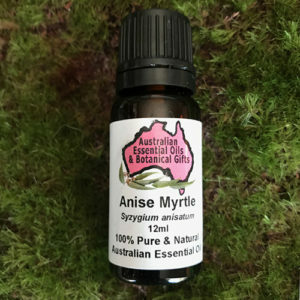 Essential oil, steam-distilled from the leaves and branches has a long history of use by indigenous Australians and exported timer and oils to ancient Europeans. The timber from the white cypress plant was used by indigenous peoples to craft weapons and religious artefacts, while the oils and resins of the plant itself were used as a kind of glue. 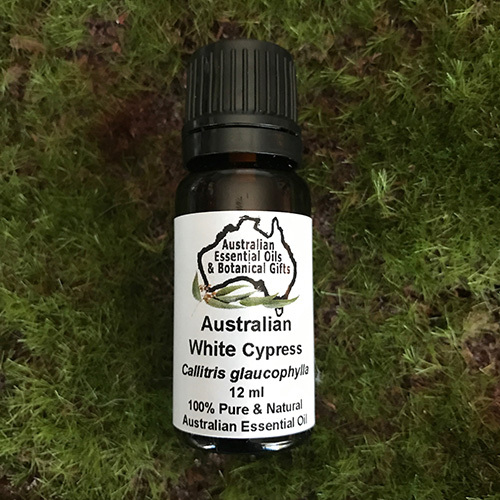 White cypress leaves were used to decongestant the lungs, clear the surrounding air of insects and germs, and as a topical treatment for skin imbalances. 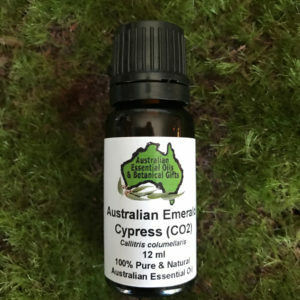 Traditional, mental, physical, emotional benefits: White Cypress Leaf Oil has traditionally been used to treat rashes, decongest the lungs, heal wounds, fight viruses, ease anxiety, clarify and purify the air, energize the mind, lift the spirits, provide a soothing sense of grounding calm throughout body and mind. Aroma description: Lemon fresh leaps of faith dance with the spirit of evergreens above subtle, grounding undertones of sandalwood and honey. 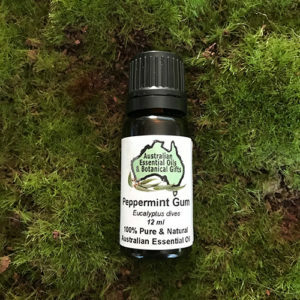 Anti-inflammatory, anti-viral, anti-fungal, decongestant, calming, grounding. Aromatherapists prize it for it’s grounding and stabilizing properties to calm an agitated mind and body. Use in a diffuser, oil burner, vaporiser, potpourri, massage oil, bath. 2 to 4 drops in an oil burner, a couple of drops in a diffuser, 1 to 2 drops into a bath. 5 to 10 drops per 100ml.